The demands made on the components in combined heat and power plants (CHP) are increasing. They have to be efficient, long-lasting and, in case of an emergency, must at least fulfill the safety requirements set forth by the Medium Voltage Guideline. Thomas Marterer, Product Manager at RINGFEDER POWER TRANSMISSION, explains how operators of CHPs can find the correct coupling for their plant: The coupling should withstand high temperatures and be neither torsionally too stiff nor too soft. 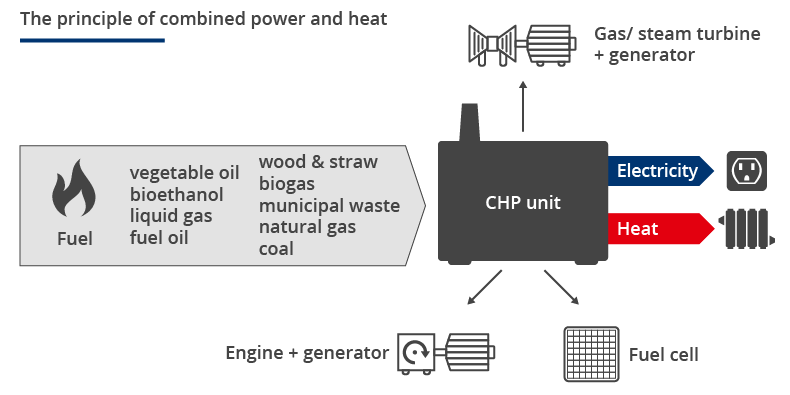 What are the demands that CHP operators make on their plants? And what does this have to do with the selection of the coupling? Thomas Marterer: First, every operator wants his plant to run safely, reliably and efficiently. A lot of them also want to lower acquisition and maintenance costs as well as service intervals. In order to accommodate a smaller installation space, a more compact design of the individual units is desired. Such a compact design, however, involves higher ambient temperatures which have to be taken into consideration when rating a coupling. This particularly applies to units where the generator and the engine are connected by a housing flange, because, in this case, the options for ventilation are limited. Temperatures of more than 110°C can occur in the elastomer of the coupling. Even under these conditions, the operator strives for a running time of about 25,000 hours of maintenance-free operation for the coupling. Therefore, many operators initially consider using a torsionally stiff coupling, for example a diaphragm coupling. Generally, the disadvantageous features of such couplings prevail compared to a highly flexible coupling. Combined heat and power plants produce both heat and electrical current. Learn more about the principle of cogeneration of heat and power. What are the disadvantages of a torsionally stiff coupling in CHPs? For torsionally stiff diaphragm couplings not only torsion-critical excitations have to be considered, but bending-critical excitations of the combustion engine which are induced into the rotor system in an undamped manner have to be taken into account as well. In addition to the common torsional resonance risks, there is also a bending-critical risk. On top of that, higher vibration levels have to be anticipated at the plant. These vibrations will have an adverse effect on the lifetime of the individual components, and, consequently, will be disadvantageous for operational safety and reliability. This mainly applies to the winding system of the generator, the roller bearings and other attached parts. Another disadvantage is that a portion of the rotor weight has to be taken on by the engine bearing on the flywheel side. This represents an additional load that entails earlier wear of the bearing compared to a design in which the generator shafts are supported by two separate bearings. As a result, more frequent maintenance is to be anticipated. Alternatively, a lighter flywheel could be selected. For various reasons, this is possible only to a limited extent, for example on account of the non-uniformity factor and the strength of the crankshaft. In most cases, these considerations eventually induce the operator to opt for a highly flexible coupling. Are there any other challenges to be particularly considered for CHPs?  Many customers are looking for solutions that fulfill the current Medium Voltage Guideline. Additional requirements by the legislative authorities must also be complied with. This specifically refers to the requirement that the voltage supply must be maintained even in the event of significant disturbances in the grid. According to studies* , the optimal rating of the torsional stiffness can make an important contribution to maintaining the electrical grid stability. In the past, the design of couplings for CHPs mainly aimed at the avoidance of torsion-critical excitations and how to damp them. The principle ‘the softer, the better’ was commonly adopted. It is no longer that easy to confirm this principle as far as the compliance with the Guideline is concerned, in particular in view of the requirement that ‘pulling out of synchronism’ of the generator rotor must be avoided. The main argument against using a torsionally too soft coupling would be the reduction of the concentrated total mass moment of inertia immediately after a grid short-circuit has occurred. This reduction leads to faster acceleration of the generator rotor. As a result, the chance to synchronize the rotor with the restoring grid is diminished. Scientific studies* show that the coupling can be subject to significant resonance-type overloading, if upon recovery of the voltage supply, the natural frequency of the coupling simultaneously coincides with the frequency of the air-gap torque. This operational state can be positively influenced by the fine adjustment of the coupling stiffness. Adaptable stiffness by individual elastomer elements – Just replace the buffers and install the coupling again: This is how plant operators save time and costs. You work with a new highly flexible coupling, the TSCHAN TNR. Why is it a good alternative for use in CHPs compared to other couplings? 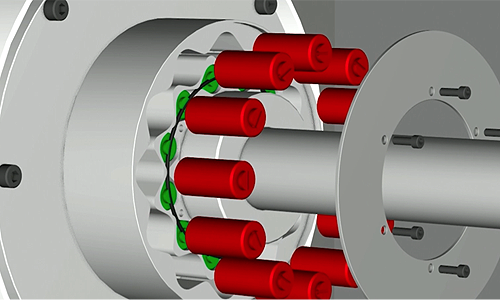 The TNR coupling features a novel configuration with individually combinable elastomer elements that can be arranged in single or double rows. The first advantage is the elastomer material: the specially developed high-temperature elastomers withstand temperatures of more than 110°C. The second advantage is maintenance: Up to now, complete rubber disk elements had to be replaced. For the TSCHAN TNR, only individual elastomer buffers need to be replaced. And these buffers are relatively low-cost. The TSCHAN TNR allows for restoration of like new condition of the coupling in an inexpensive way. In addition, the stiffness of the TNR coupling can be individually adjusted. Similar to safety couplings, it helps avoid damage to the shaft line. This particularly applies to possible incorrect synchronization of the generator plant. * Binder (2012): Elektrische Maschinen und Antriebe. Springer.